Over the past few years there has been much discussion in the media and by analysts about Japan’s growth strategy, including questions about whether the ‘third arrow’, also known as structural reform, is making enough progress. The short answer is that the third arrow is making dramatic progress in the area where it matters most in Japan: corporate governance. 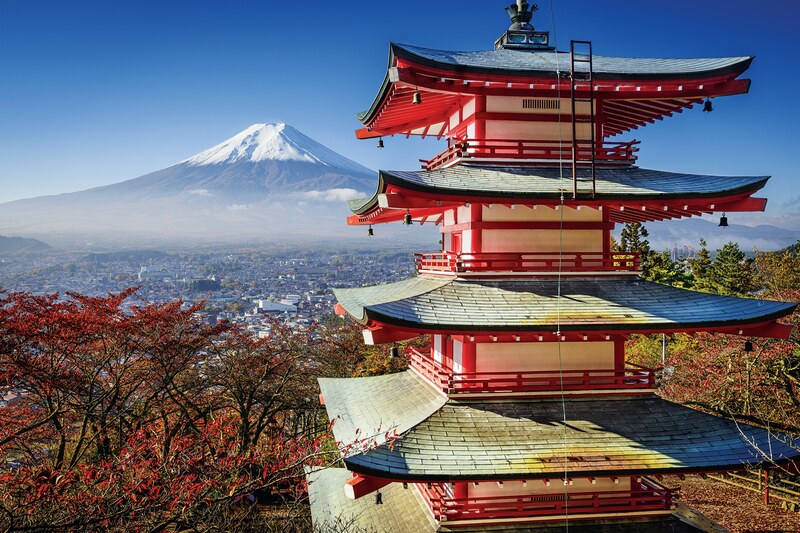 For many years, corporate governance reform in Japan was a severe uphill battle, characterised by stiff corporate resistance and policy leadership by regulators whose major ‘clients’ were those same corporations. The agency responsible for financial markets, the Financial Services Agency (FSA), played a subordinate role. Corporate governance was not viewed to be an important part of national economic policy. In 2009, I became alarmed at the apparent failure of successive cabinets to adequately address the impending crisis posed by mounting government debt and a shrinking labour force. 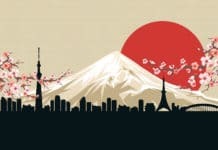 Japan’s annual growth strategies read more like randomly collected wishlists from industry and the bureaucrats than coherent analyses of deep-rooted problems connected to clear policy solutions. 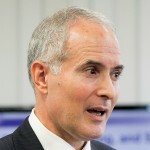 As a governor of the American Chamber of Commerce in Japan (ACCJ), I therefore proposed and led a major project that would: a) commission an independent economic analysis of the fundamental causes of Japan’s ‘lost two decades’; and b) based on that analysis, write an extensive white paper to propose effective policies to stimulate growth. The economic analysis was expertly done by Professor Kyoji Fukao of Hitotsubashi University and it emphasised the urgent need to raise Japan’s declining productivity growth by increasing its economic metabolism and speed of asset reallocation. These issues led the ACCJ team to propose concrete measures to reform corporate governance, spur entrepreneurship and the reinvestment of corporate cash, and enhance labour mobility, along with a host of other structural reforms. Quietly, the ACCJ’s Growth Strategy white paper and Professor Fukao’s independent research paper were widely read within the government. Far more than I imagined possible, the project succeeded at seeding an essential (if obvious) concept: ‘strong political leadership to propose a growth strategy based on objective analysis about productivity’. The latter word, ‘productivity’ became the key thematic driver of Japan’s subsequent corporate governance reforms. The train really started rolling when Prime Minister Abe and the LDP came to power at the end of 2012. Because a structural reform third arrow was needed to complement the short-term fixes of monetary expansion and fiscal stimulus, the LDP formed a special committee to propose those reforms and concrete growth policies, dubbed the ‘Japan Economic Revival Headquarters’. Professor Fukao was appointed as one of four external advisors to the Headquarters. Judging from the overlaps in term of concepts and policies, the Professor’s analysis and the ACCJ’s white paper were key inputs to the Headquarters’ thinking. In the governance context, the committee proposed making the appointment of at least one independent director mandatory at all public companies and requiring companies to disclose their policies and actual implementation of director training. At that point, it had become abundantly clear that words like productivity, non-executive directors, and ROE would become rallying cries for Abenomics’ third arrow. Resonating with this, the Nikkei group and Tokyo Stock Exchange (JPX) cooperated to devise an entirely new exchange index, the JPX-Nikkei 400, to reflect these aspects in its selection criteria. Launched in January 2014 after much planning, the new index has been spectacularly successful. On a rolling basis it selects the top 400 companies based on: a) quantitative criteria, such as ROE, three-year cumulative profit and market capitalisation; plus b) qualitative criteria, such as governance (number of independent directors), adoption of IFRS, and disclosure. By the end of the first year, at least five ETFs were based on the JPX-Nikkei 400, and about $800bn was tracking it, including GPIF funds. A key aspect that makes the index popular is its perceived exclusivity, even though it is still far less concentrated in certain sectors than the Nikkei 225 index. When Japanese toolmaker Amada was left out of the first cut of the JPX-Nikkei 400, Amada’s CEO swung into action, announcing that for the next two years it would pay out its full net profits as dividends and stock buybacks and appoint two independent directors. Amada’s shares shot up by 24 per cent over the next two days. As the FT aptly wrote: “That kind of response was exactly what the designers intended.” The index gave Japanese executives (of the index) an easy-to-understand reason to think more about improving returns and governance: pride. They simply don’t like being left out of the top group. Next, Japan’s policymakers focused on adopting a voluntary stewardship code. For several reasons, this was a wise move. It would be an easier political ‘sell’ than focusing directly on corporate governance practices. The powerful industrial group, the Keidanren, could not complain, since most of its members are not investing institutions or fund managers. Moreover, signing up to comply with the stewardship code is entirely voluntary, so there would not be much to oppose. However, putting in place a stewardship code was a clever way to signal to corporations that the old days of cross-shareholdings and silent investors would be ending and, in the future, they would have to deal with more dialogue with, and requests from, their shareholders. The Code is largely similar to the UK’s Stewardship Code, in that it adopts a ‘principles-based approach’ and focuses on fortifying oversight in the investment chain. It requires each signatory to: a) formulate and disclose clear policies for stewardship and managing conflicts of interest; b) monitor portfolio companies (or fund managers, if an asset owner) on an ongoing basis and ensure that fund managers pursue ‘constructive engagement’ with companies; c) put in place or confirm policies for voting and voting disclosure; d) report periodically to beneficiaries on their stewardship activities; and e) make sure they have the appropriate skills and resources to do the above things and ‘contribute positively to sustainable growth’. The biggest difference from the UK’s Stewardship Code is that it does not contain strong and specific language referring to collective engagement and collaboration because the current rules related to disclosure required when ‘acting in concert’ are stricter in Japan than in the UK. Also, as is hinted in the above description, it is not yet clear how far the duties of asset owners extend. Understandably, given Japan’s historical background of cross-shareholdings and ‘stable shareholders’, for the first few years institutions and companies will be busy just sorting out what ‘constructive engagement’ should mean and how to gear up to do it on a practical, effective basis that meets expectations that are now set at a much higher level than before. Precisely because of that historical background, this is one of the most important things to do . In the meantime, amendment of Japan’s Company Law (for the third time in 10 years) had been under consideration, initially by an advisory committee of the Ministry of Justice, ever since the Democratic Party of Japan (DPJ) had first proposed amendment in 2009. While a number of incremental improvements to governance had been agreed upon, the major sticking point in this five-year process was that Japan’s industrial lobby was unwilling to accept the mandatory appointment of a single independent director. Therefore, the DPJ and LDP had reached a tentative compromise agreement with the Keidanren, which for the first time adopted the ‘comply-or-explain’ principle in the arena of corporate governance policy in Japan. While fortifying the rules defining ‘external director’ in the law so as to exclude parent company directors and first and second-degree relatives, the proposed law would require companies to explain to shareholders their reasons for not having a single such non-executive director (if they had none) based on the particular circumstances of that company. In practice, this is not easy to do, although many executives in industry may not have realised this at the time. Despite this, certain key LDP lawmakers wanted to continue pushing for a mandatory requirement of one independent director in the Company Law. However, I suggested to them that they now had a wonderful opportunity to move to quickly pass the Company Law with the compromise arrangement, thereby legitimising the concept of ‘comply-or-explain’, and then leverage that concept to propose a comprehensive corporate governance code that would have far greater impact than just one independent director. A corporate governance code would result in the detailed disclosure about governance practices at each company that would be necessary in order for the Stewardship Code to be fully effective in the first place, and would authoritatively introduce the notion of ‘best practice’ to Japan. I was asked to present these ideas to a subcommittee of the LDP growth strategy Headquarters. Among other aspects, I proposed that the FSA, rather than METI, should be in charge of assembling an independent panel and working with it to draft the code, because it is the only agency legally responsible for protecting investors, improving financial markets and regulating the exchanges. I also stressed the need to align with the OECD’s Principles of Corporate Governance, strive for international acceptance of the new code and set a deadline for implementation of the code. Key LDP leaders quickly saw the benefits of this approach, and in June of 2014 the LDP drove through two historic policies: a) it enacted the new Company Law with the ‘comply-or-explain’ approach and beefed-up ‘explain’ language (eg the CEO has to explain at the AGM itself, publicly, and the explanation must be included in the proxy statement); and b) it announced a 2014 Growth Strategy that set as its highest priority the improvement of corporate governance via a corporate governance code, in order to increase productivity and raise the ‘earning power’ of Japanese companies. The FSA and TSE were charged with setting up an independent panel to determine the most important features of the corporate governance code and the Growth Strategy explicitly reflected the criteria I had suggested, most importantly a deadline less than a year away. I immediately gave my full input regarding the desirable contents of the code to the FSA. Since then, Japan’s first Corporate Governance Code has been put out for public comment, and finalised. While not perfect (and no governance code ever is), the reaction of most knowledgeable observers is that it is more robust than they expected – a respectable first effort. 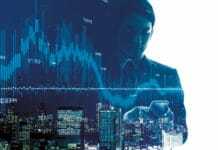 Investors and companies are now waiting to see how much detailed ‘explain’ disclosure will require when the code is reflected in the stock exchange listing rules and how much ‘constructive engagement’ will actually occur. However, coming as it does in tandem with the other reforms described in this article, the code makes it certain that a sea change in corporate governance will occur. It is now national policy to improve corporate governance in order to raise economic productivity and investor returns. Moreover, the concepts of best practice, robust disclosure about governance policies and engagement have all been introduced and linked in a virtuous cycle. Everyone now knows that these things are inevitable. It is at such times that Japan does suddenly change, after years of seeming slumber. Mr. Benes is representative director of the Board Director Training Institute of Japan a non-profit “public interest” organization certified by the Japanese government. A lawyer and MBA by training who worked as an investment banker at JP Morgan and then led his own M&A advisory boutique, Mr. Benes has served on a number of Japanese boards, including that of Livedoor Holdings after the scandal. He has also advised the Japanese government on FDI policy and corporate governance as a member of various government committees, as a governor of the American Chamber of Commerce in Japan, and in a personal capacity.